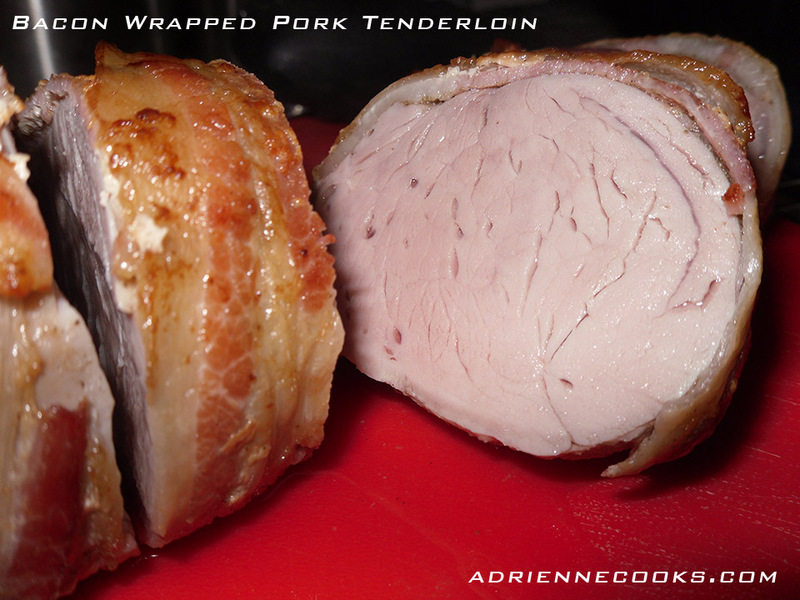 This tender smorgasbord of pork is melt in your mouth delicious and so easy to make. Delightfully easy. Your third grader could do it easy. Plus, it’s Paleo! I love bacon (BACON!). That goes without saying. Who doesn’t love bacon?! The rest of the piggy ain’t too shabby either. One of the most tender parts of the pig is the tenderloin. It’s fantastically flavorful when handled correctly and kept moist. Do your best to not overcook these little morsels. I know there are sooo many ingredients, but give it a try! Rub each tenderloin with salt, pepper and thyme. 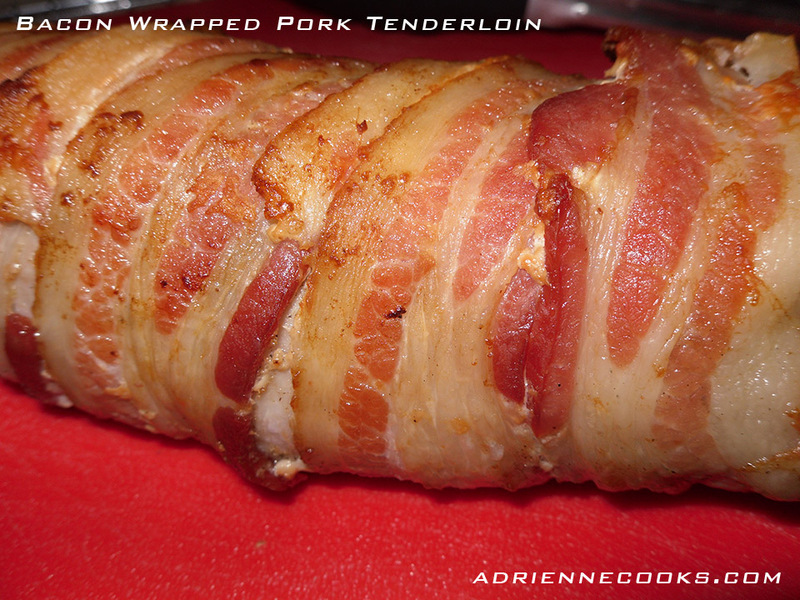 Spiral bacon down the length of the tenderloin, overlapping by a quarter inch with each pass. This way you don’t have to tie or secure the bacon with a toothpick, the bacon will stay put. Tuck the last end under the previous pass of bacon. Heat an oven proof skillet over medium high heat. Sear each side of the tenderloins until the pork is turning opaque and the bacon has started to render its fat. This step will ensure your bacon gets a nice color on it and develops a full flavor (losing the tallow or tinny taste of rubbery undercooked bacon). 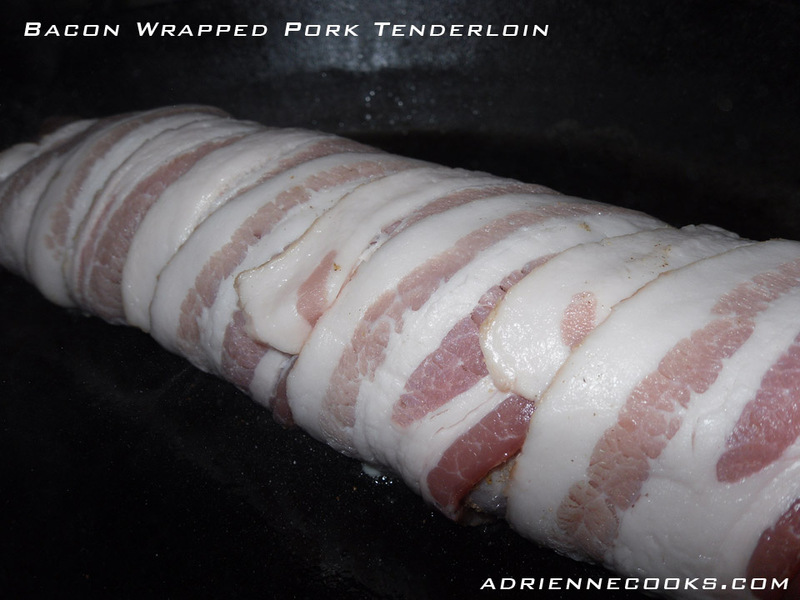 Pop the skillet with both tenderloins into the oven for 20 – 30 minutes until the pork is cooked through. Let the meat rest for 10 minutes before slicing or you’ll lose all your juices you worked so hard to preserve. Now slice, serve and revel in the porcine goodness. Enjoy! ← Fast Weeknight Pork Chop Fricassee Paleo! This looks delicious! I’m definitely going to have to try. Thanks for visiting my blog! This looks amazing! I’m totally trying this! nothing more to said, YUMMY! Holy Toledo that looks amazing! That bacon… Thanks for your visit!